Chevy Chase is an affluent neighborhood located in the northwest quadrant of Washington, DC. It borders the collection of Chevy Chase neighborhoods in Maryland that go by the same name. The community is characterized by a small number of locally owned businesses along Connecticut Avenue that are a favorite of residents. Property options include condos and in a historic twist -- “Sears Catalog Homes” – a popular model in the early 20th century that allowed more modest buyers to build a house themselves from a catalog kit. 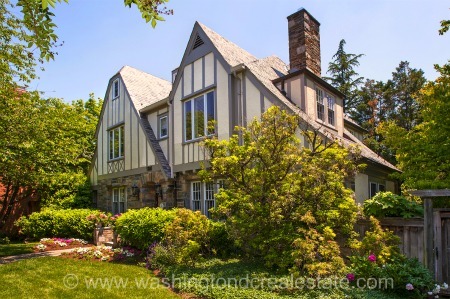 In addition to historic commercial buildings, Chevy Chase boasts a wide expanse of green with Rock Creek Park, Lafayette Park, and Livingston Park within easy walking distance. Convenience is a major advantage to living in Chevy Chase which is served by three metro stations on the Red Line – Van Ness-UDC; Tenleytown-AU, and Friendship Heights. Chevy Chase is bounded by Rock Creek park to the east, Western Avenue and Tennyson Street to the north, Reno Road to the west, and Broad Branch Road to the south.